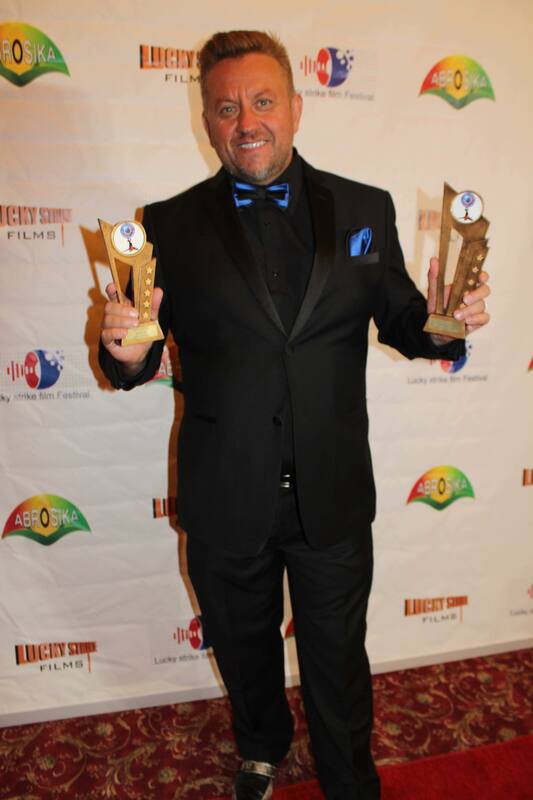 Hollywood, CA- Multi award-winning filmmaker Harley Wallen and his team swept the film festival circuit with countless awards for Betrayed that had it’s much anticipated premiere last week at the TCL Chinese Theatre in the heart of Hollywood. I covered this premiere and it was truly the event to be at! With just a super short circuit run, this film has racked up an impressive amount of wins across the country. The International Independent Film Awards bestowed Diamond Winner awards to John Savage as a for Best Actor in a Leading Role as well as Kaizad Patel for Best Original Score. Platinum Winners were Best Narrative Feature, Harley Wallen for Best Director and Blanca Blanco for Best Actress in a Supporting Role. It was a golden occasion at the Gold Movie Awards, where Betrayed won Best Feature Film and Harley Wallen won Best Producer and John Savage won Best Actor. Lucky Strikes Films Festival brought much well deserved luck to both Wallens. Kaiti won Best Actress and Harley was awarded Best Director. At the Top Indie Film Awards, Official Selections are Harley Wallen for Best Director, John Savage for Best Lead Actor, Aphrodite Nikolovski for Best Actress in addition to Kaizad Patel for Best Score. If that wasn’t enough, Betrayed is also an Official Selection at the Great Lakes International Film Festival. This action crime thriller deals with the gritty world of human trafficking. In an effort to control the city, the Mayor Don Alderman (John Savage, The Thin Red Line) lets the Russian mob into his city. After the Russians don’t follow his rules, he opens the city to the cartel to push them out. When the Russians find out, Mikhail (Harley Wallen, Bennett’s Song), the head of the Russian mafia, kidnap’s the Mayor’s daughter (Kaiti Wallen, Into A Dark Mind) and then the real games begin. Caught in the middle of an escalating crisis, Mayor Alderman hires Mike Wolf (Billy Wirth, The Lost Boys) and Alpha (TJ Storm, Punisher Warzone) to rescue his daughter before the cunning Mr. Stone (Richard Tyson, Black Hawk Down) puts her on the market to be trafficked. 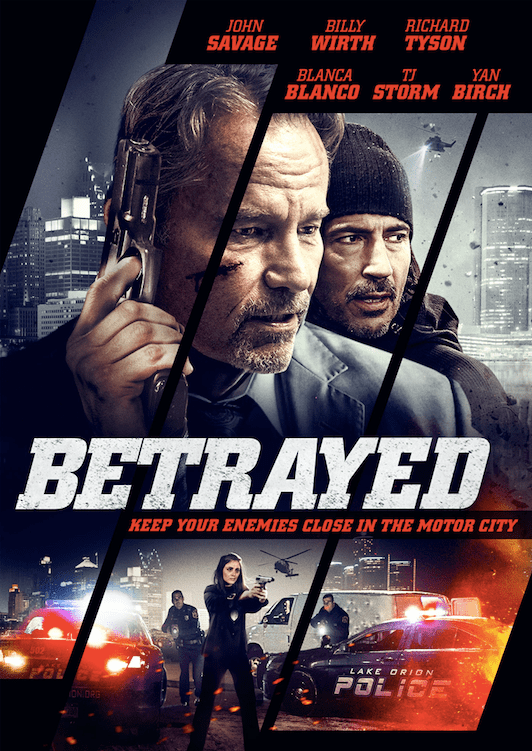 Today is Betrayed’s release date for Blu Ray and DVD and VOD by Vision Films through its distribution deal with Sony Pictures Home Entertainment. Rabid fans will soon be appeased with his countless amazing movies! 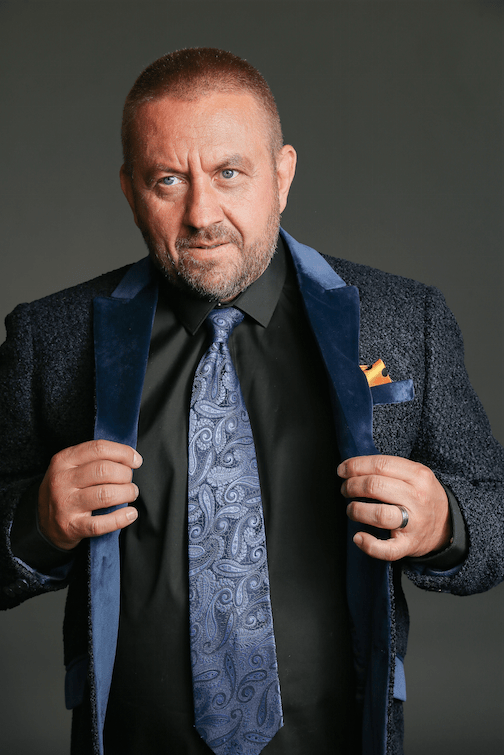 Multi award-winning filmmaker and actor Harley Wallen has starred in over 40 feature films and TV shows with legendary stars such as Tom Sizemore, Tara Reed, John Savage and Richard Tyson among many others. He started his journey as a martial artist early with Judo at age 7 and is now a 5th degree black belt. Harley also spent time learning other forms of martial arts (Jiu-Jitsu, Tae Kwon – Do black belts as well) and Mixed Martial Arts. His other love at a young age was dance as he was an outstanding break dancer in his teen years. His sheer talent and skill is what landed him his first opportunity in acting as dance at the syndicated Swedish TV cult hit ‘Solstollarna’! Soon after, he was bitten by the acting bug. Harley then moved from Sweden to the United States to boldly pursue his dreams. After a short stint these plans got side-tracked by business opportunities as Harley climbed various career ladders. After returning to acting, it wasn’t long before the roles started coming and the growth he had experienced in the business world started happening to him in the acting world. After the film incentives ended in Michigan, he decided to start making films of his own. Not having a film school background with only limited experience, he decided to go online to further his education in filmmaking and took classes and seminars in acting. Finally, in 2016, Harley and his wife Kaiti formed the film production company ‘Painted Creek Productions‘. The one thing he really takes pride in is his commitment to the character he is playing regardless of the size of the role or the pay check. Harley is now writing, acting and directing and has found his life’s purpose! I am the Senior Editor at HollywoodPressCorps.com. On Wednesday Sept 26th, Betrayed will have its world premiere at the TCL Chinese Theatres 6 in 6801 Hollywood Blvd, Hollywood, CA 90028. This much anticipated action crime thriller from multi award-winning actor and filmmaker Harley Wallen, “Betrayed,” has a wonderful ensemble cast consisting of Richard Tyson, John Savage, Billy Wirth, TJ Storm, Yan Birch, Kaiti Wallen, Calhoun Koenig, Angelina Danielle Cama and Blanca Blanco. Numerous celebrities and VIPs are expected at this event such as filmmaker/actor Harley Wallen (Bennett’s Song), Richard Tyson (Kindergarten Cop), John Savage (The Thin Red Line), Billy Wirth (The Lost Boys), TJ Storm (Punisher: War Zone), Kaiti Wallen (Into A Dark Mind), Yan Birch (The People Under the Stairs), Calhoun Koenig (Bennett’s Song), Angelina Danielle Cama (Moving Parts) and Blanca Blanco (Fake News). Other celebrities expected are Jake Busey (The Predator), Scout Taylor-Compton (Rob Zombie’s Halloween 1 and 2), Tom Berenger (Platoon), Billy Zane (Titantic), Tara Reid (American Pie), Naomi Grossman (American Horror Story), Aki Aleong (Babylon 5), Dave Sheridan (Scary Movie), Hank Garrett (Three Days of the Condor), Mel Novak (Bruce Lee’s Game of Death), Dawna Lee Heising (Samurai Cop 2: Deadly Vengeance), Vida Ghaffari (The Mindy Project), Jimmy Star and Ron Russell (The Jimmy Star Show with Ron Russell), Erika Hoveland (Before I Wake) and Felissa Rose (Sleepaway Camp). Award-winning actor and filmmaker Harley Wallen. PARKING: Park for up to 4-hours for $2 with validation from the TCL Chinese 6 Theatres. ($2.00 every 20 minutes thereafter).